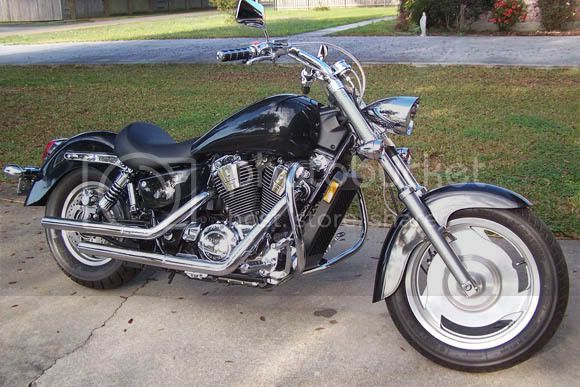 Last weekend I installed a Vance & Hines ProPipe HS on my '04 Sabre as well as a DynoJet jet kit (170 front, 175 rear and needle clips on 3rd position as recommended) and a K&N air filter. Also had the pleasure of meeting a fellow Sabre rider in my neck of the woods, "qartique" on these here forums, who stopped by to help wrap up the install of the ProPipe last weekend. Next thing on the list was synching the carbs, and I'd read up on it here as well as read about the homemade manometer trick.....looked really good, so I scrounged up the parts when I got back in town from my weekday travels and whipped it up. Long story short, bike runs GREAT now, no decel popping at all and purrs like a kitten.....well actually it growls like th'frikkin' Sabre-toothed tiger that it is! So I just wanna give my BIG thanks to everybody and this site for all the tech tips I've read here, as well as for this forum putting me in touch with my new bud, who was also kind enough to loan me his service manual today for the carb synch. Qartique I owe ya one! Now....as for lo-tech lo-bugjit tech tips, I have one of my own....I thought I had everything nailed in preperation for this, except for one thing, which was the adjustment tool. I've read of how Honda is very proud of this tool and it's out of my range for a specialty tool for occasional use. 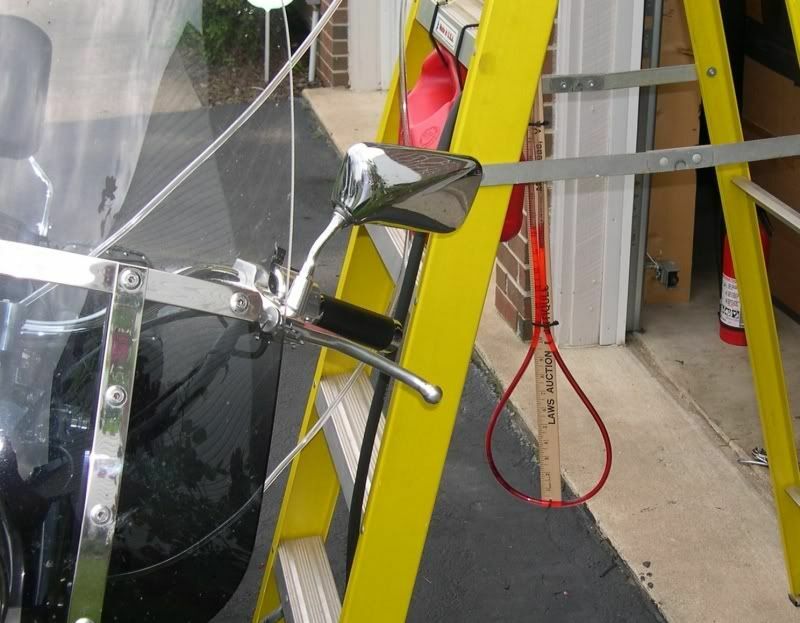 I also read about how you can just go full throttle (with the engine off of course) and the synch screw pivots up on the linkage so you can attack it from above with a regular long flat-blade screwdriver. But for adjusting it while running, which I wanted to do, I was kinda stumped...until standing at my workbench I looked up at my tool wall and saw my hacksaw hanging there. 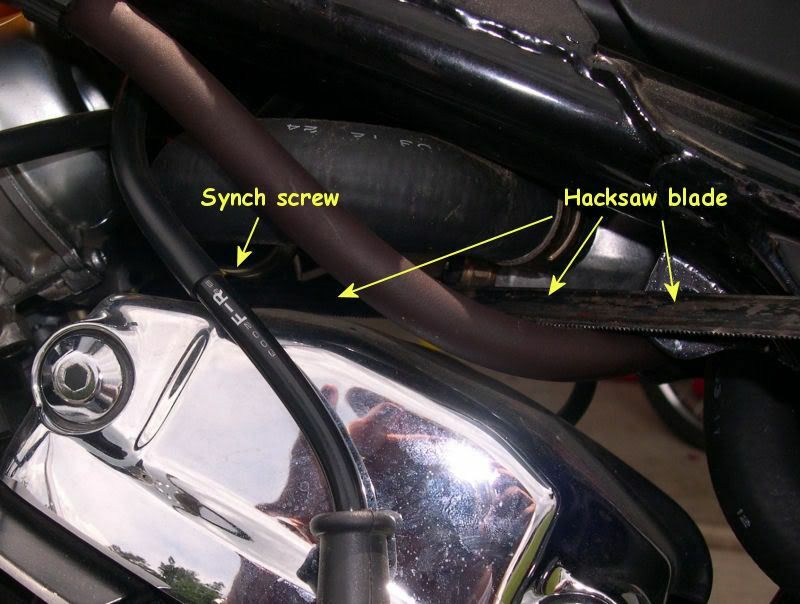 Sure enough, a regular cheapoe hacksaw blad is long enough, flexible yet stiff enough, to reach the synch screw from the right-front side coming on over the top of the front cylinder head (apologies if someone else did think of this and posted it before). Anyhow it works just fine, except for when the screw slit is perfectly straight up and down, the hacksaw blade is just a hair too wide to turn without a little binding, but it can be done. I might just take this blade and chuck it in my vise, then file or grind the teeth of and make it narrower in the middle so that doesn't happen. Maybe attach a cool ducttape handle to the end....who knows....but although the picture doesn't show the details on how it fits the the screw slot so well (too dark back there for the camera flash I guess), it did the trick! So I just wanted ta say THANKS for all the great info!!! Great job on the write up. I also sync'd my carbs the same way. Gathered info from the site and went after it. I used a different tool for the adjusting tool. I used a piece of fuel hose with a screw driver tip stuck in one end. what did you use for line restrictors on your homemade manometer. I used a different tool for the adjusting tool. I used a piece of fuel hose with a screw driver tip stuck in one end. Bike157......wellsir, I didn't use line restrictors, it was all per the two writeups I posted links to, and the combo of the 3/16 tubing (12 feet total, 6 feet per cylinder) and the vacuum port fittings made from 3/16 brake line were small enough in diameter that I guess they had plenty of restriction as it was. For the record I did notice that when I throttled up, one cylinder would "pull" more than the other, the level didn't stay even as it did during idle. I balanced for idle, but now I'm wondering, if this is normal and if I should have tuned for part-throttle? I used 2 plastic beads I found with a hole in them. Worked well. I did mine with Water dyed with red food coloouring. I also had a split at part throttle while dead nuts on at idle. Just did my '06 SS750 and the '94 VT600C VLX. Both sync adjustment screws were facing up at idle...so just a standard long shaft screwdriver. This was the first time I'd ever had the radiator fan come on with the 600. Was like 93 degrees so the extended park time while running finally got the temp high enough. 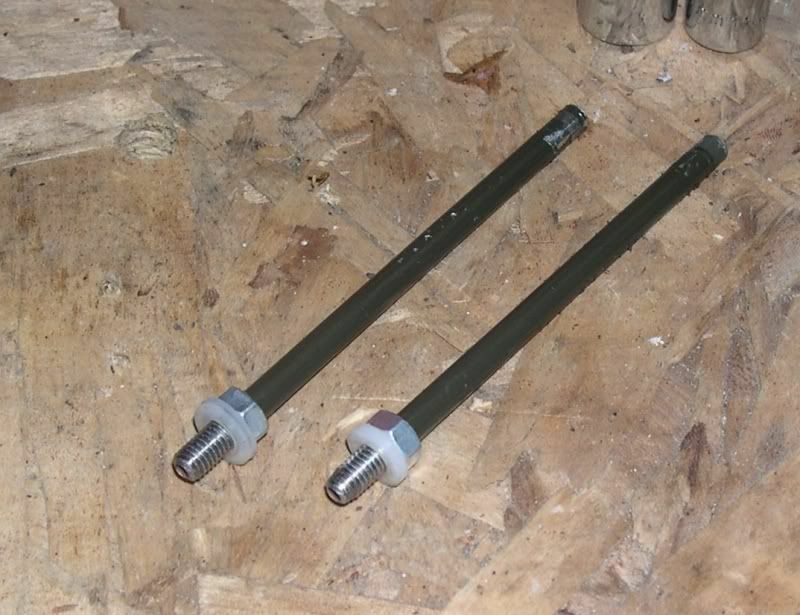 Transmission fluid in clear line...cut 2 pieces of dowel rod off 1/2" long and sanded them into a D shape; inserted them for restrictors. I just completed the carb sync described in this "sticky". Made the threaded inserts - dumb - buy them from posted source. Used Lowes for tube. 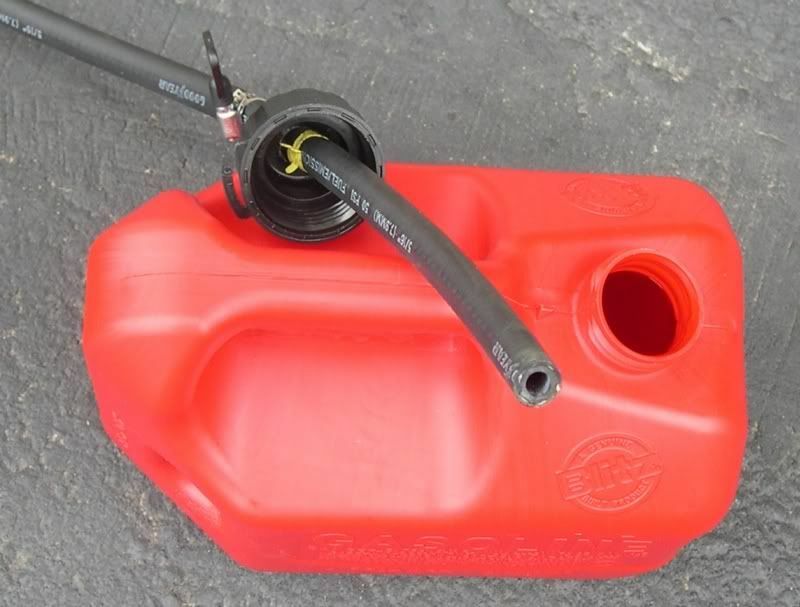 To connect gas I simply used a 4' piece of fuel hose 1/4", and a plastic barbed connector, also from Lowes. I did need to use a screw type hose clamp on the hose from the bike to seal. Put the tank on a bench beside the bike and just used it as my gas source. 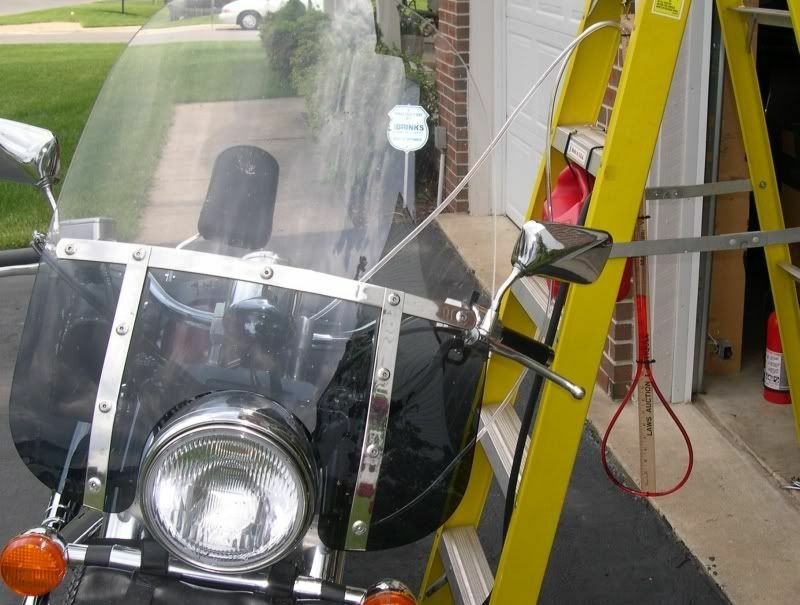 The adjustment from above, after moving the vent tank away, was available with full open throttle and easy to reach with electricians screwdriver. I simply moved the adjustment 1/4 turn in, then started the bike, to see which side went up. Then I started and stopped the bike to make the next adjustments. Maybe 5 times. Adjustments of 1/4 turn would move the oil column at least 2" so easy and touchy. Really great information, thanks to all. I just synced my 95 1100 ACE using the adapters from MarkC over the weekend. Truly an easy job. I felt it important to repeat what others have said about the sync screw for my model bike. 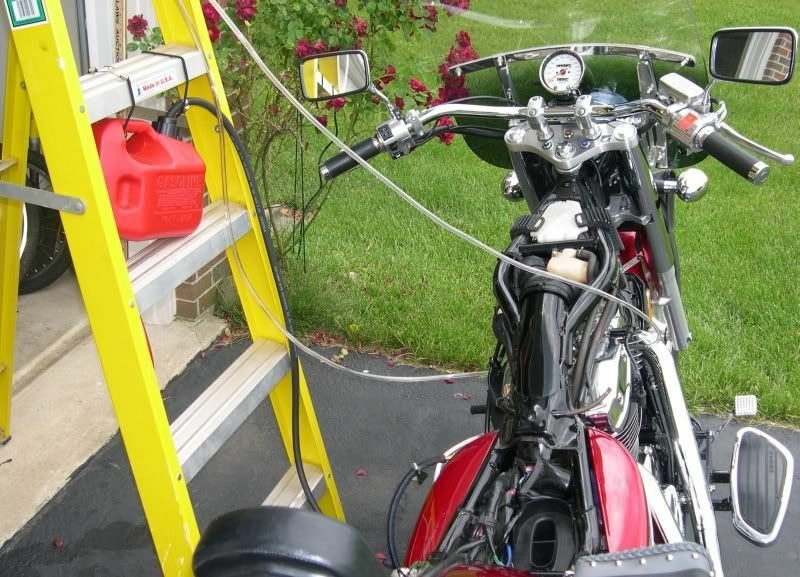 With the engine shut off and the gas tank removed, look down as you turn the throttle. The screw you are looking for will rotate up so that any normal length flat head screw driver can easily reach it for an easy adjustment. My total adjustment was 1/4 turn counterclockwise.